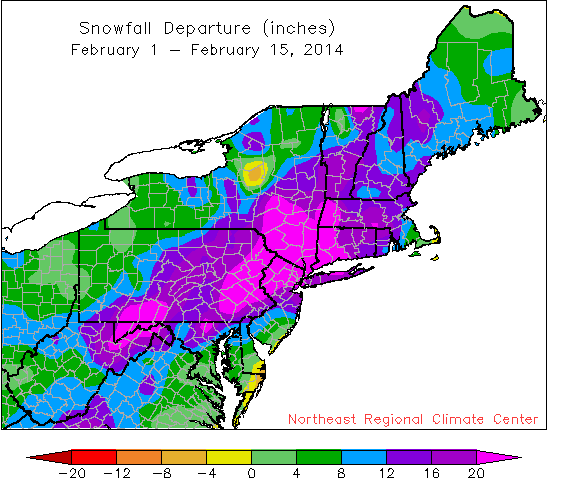 Snowfall has been abundant so far this February. Most people would describe this February as very cold and snowy. And, they would be right! 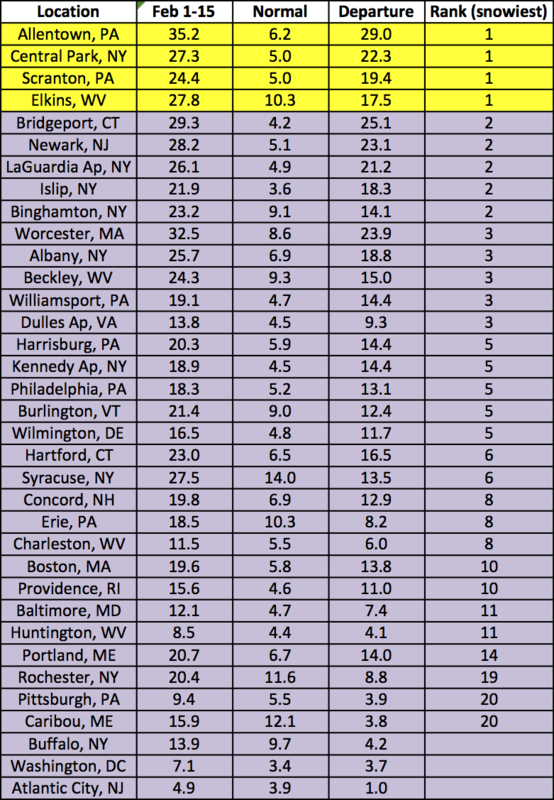 Four first-order climate sites have had their snowiest start to February on record, with another 22 sites having their top 10 snowiest. 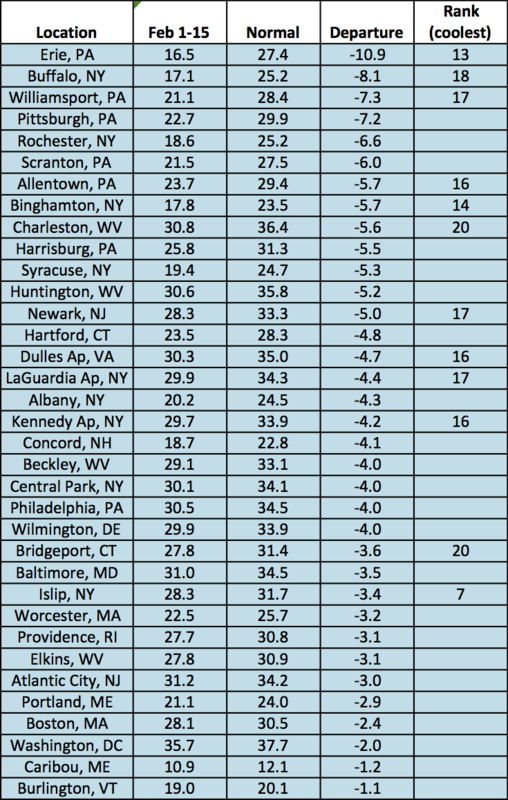 Allentown, PA, has seen more snowfall in the first two weeks of February than it normally does during an entire winter. 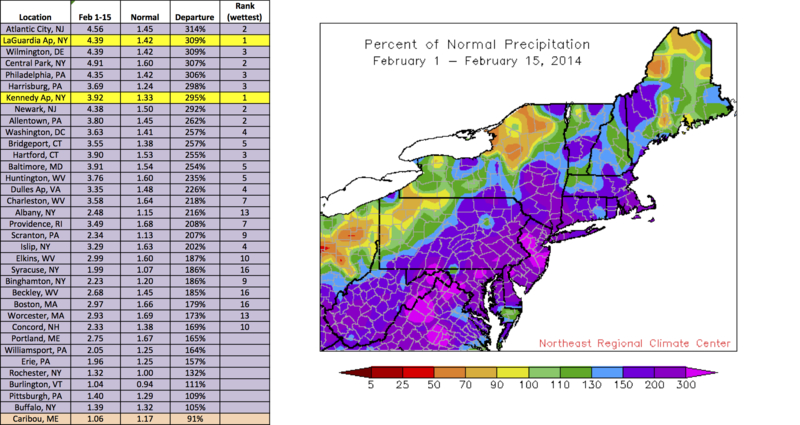 For the time period of February 1-15, 20 sites have had more than double their normal precipitation. In fact, two New York City sites have had record-wet starts to the month and another 20 sites have had top 10 wettest. Some areas have been more than 10°F below normal during the first half of February. As for temperature, 30 of the climate sites were colder than normal by 3 degrees or more during the first two weeks of February. 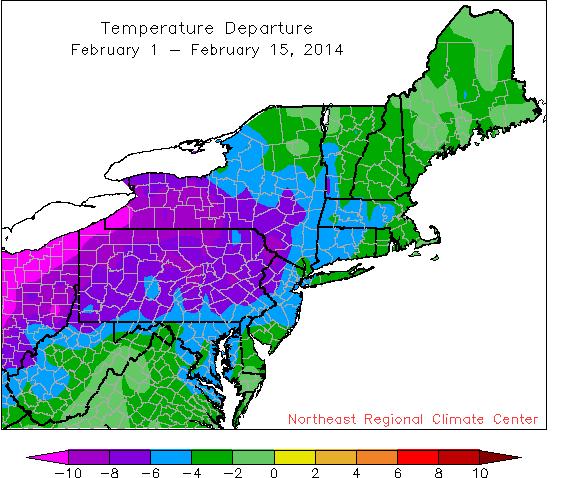 In fact, Erie, PA, was a whopping 10.9 degrees below normal followed by Buffalo, NY, at 8.1 degrees below normal.